Ideas to interventions (I2I) is a new community, formed in conjunction with the National Cancer Institute (NCI). The I2I community is a first step toward achieving the goal of building and nurturing a network of researchers who are interested in “early-phase behavioral translation research,” – the translation of novel ideas and approaches from basic behavioral and social sciences research into new strategies to address pressing clinical or public health problems. The primary objective is to broaden, deepen and build new connections among individuals interested and engaged in developing new and potentially more effective approaches to behavioral health problems, including researchers, clinicians, patients and the public. This website (https://i2ihub.org/) will host information for members, and potential members, to learn more about each other’s work. Funding Opportunity Purpose: This FOA invites applications for planning cooperative agreements (U34) for a national, multisite, observational cohort study to prospectively examine the risk and protective factors for neurocognitive complications of pediatric type 1 diabetes (T1D; onset approximately ages 5-10 years) and a comparison sample. The U34 is designed to: 1) Permit early peer review of the rationale for the proposed cohort study; 2) Permit assessment of the study design; and 3) Provide support for the development of essential elements required for the design and conduct of the cohort study and the management and analysis of the study data. Consultation with NIDDK scientific staff is strongly encouraged prior to the submission of the U34 application. In this Spotlight feature we focus on Marina Milyavskaya, PhD, Assistant Professor of Psychology at Carleton University. Dr. Milyavskaya’s research focuses on factors that predict successful goal attainment. These factors include trait differences between people as well as situational differences that influence whether individuals succeed or fail to attain goals in particular contexts. In this Spotlight feature we focus on Eric Loucks, PhD, Associate Professor in the School of Public Health at Brown University. His SOBC research investigates the effects of mindfulness training on blood pressure reduction by investigating aspects of self-regulation as targeted mechanisms of change. This work has the potential to inform our understanding of mechanisms underlying the successful reduction of hypertension risk. The Association for Psychological Science (APS) hosted a symposium and panel discussion titled “Behavior Change Across the Life-Span” on Saturday, May 26, at its annual meeting in San Francisco. Drs. Lis Nielsen and Jennifer Sumner co-chaired the event, which furthered SOBC’s mission by demonstrating the method’s relevance and value for scientists outside of the SOBC Research Network members. The symposium was motivated by the idea that the SOBC research mission is enhanced by investigating mechanisms of change during each of life’s phases. Collectively, these researchers consider how modifiable behaviors shape health outcomes across the entire human lifespan. 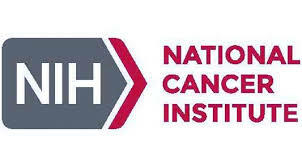 The National Cancer Institute (NCI), in collaboration with Cancer Research U.K. (CRUK), will host a “Sandpit” workshop (i.e., ideas lab) on October 28-31, 2018, in Potomac, Maryland. This intensive residential workshop will bring together a broad, multidisciplinary group of participants to generate new insights on the contextual factors (e.g., social, cultural, and organizational) that influence the implementation and uptake of digital health interventions for cancer prevention. The research ideas generated at the workshop will inform dissemination and implementation efforts, with the ultimate goal of increasing the reach, adoption, and maintained use of digital health tools. On the last day of the workshop, CRUK will invite up to four of the teams formed at the workshop to apply for CRUK seed grants to test the feasibility of their ideas. In this Spotlight feature we focus of Amy Slep, PhD and Richard Heyman, PhD, Clinical Psychologists and Professors in the College of Dentistry at New York University. They co-direct the Family Translational Research Group. 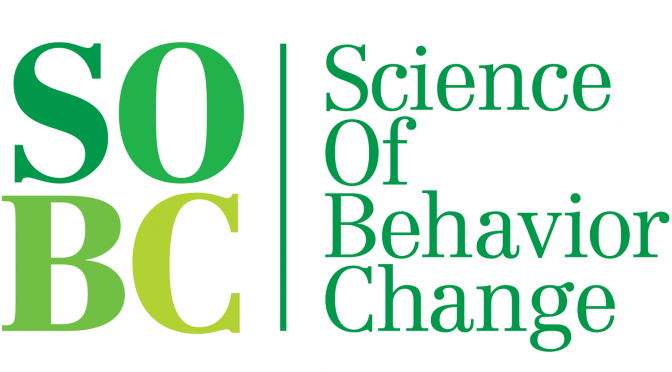 Their SOBC research examines patterns of coercive processes within parent-child and couple dyads. These coercive processes, if engaged frequently, are believed to lead to poor consequences for health behaviors such as tooth brushing, eating, and drinking. In this Spotlight feature we focus of Johannes Haushofer, PhD, Assistant Professor of Psychology and Public Affairs in the Department of Psychology at Princeton University. He founded the Busara Center for Behavioral Economics in Nairobi, Kenya, a research facility for behavioral economics studies. Dr. Haushofer’s SOBC research investigates how stress may influence health behaviors by disrupting aspects of self-regulation. 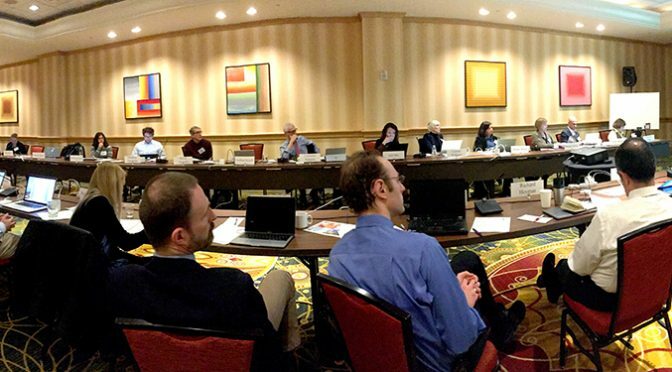 The SOBC network convened on January 10-11, 2018, for the Third Annual Meeting of the SOBC Research Network Steering Committee and External Scientific Panel. Many SOBC researchers have measured more than one aspect of self-regulation. 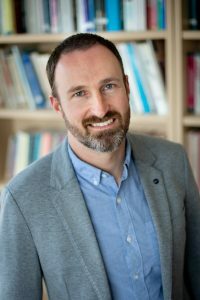 Johannes Haushofer from Princeton University measured three aspects of self-regulation, including self-efficacy, executive function, and temporal discounting. 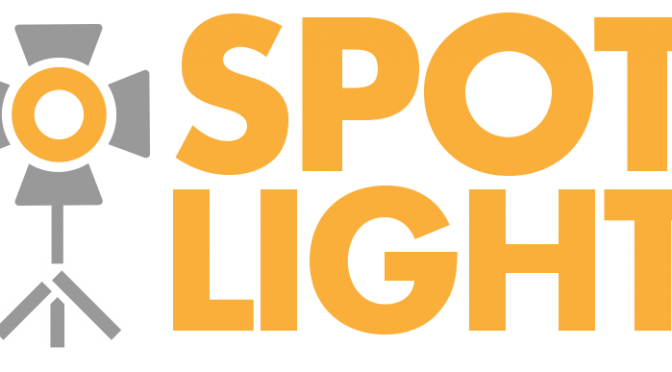 For more information about Dr. Haushofer’s interesting and ambitious project and measures, see the spotlight interview in this same newsletter. Similarly, Jun Ma and Leanne Williams study self-regulation in three domains: regulation of self-reflection, cognition, and emotion. Within each domain, they measure dysregulation using several approaches. In the case of sad emotion, for example, they measure its dysregulation via passive sampling (e.g., the negative valence of text words), neuroimaging (e.g., co-activation of the brain network of the dorsal anterior cingulate, insula, and amygdala), and measurement of negative affect during affective evocative virtual reality tasks.